Bringing everyone their much needed dosage of psychedelic dark wave alternative-rock (is that even a real genre?) is London duo The Actions, bringing us their mysterious new EP ‘Indefensible’ which is available now for downloading pleasure. 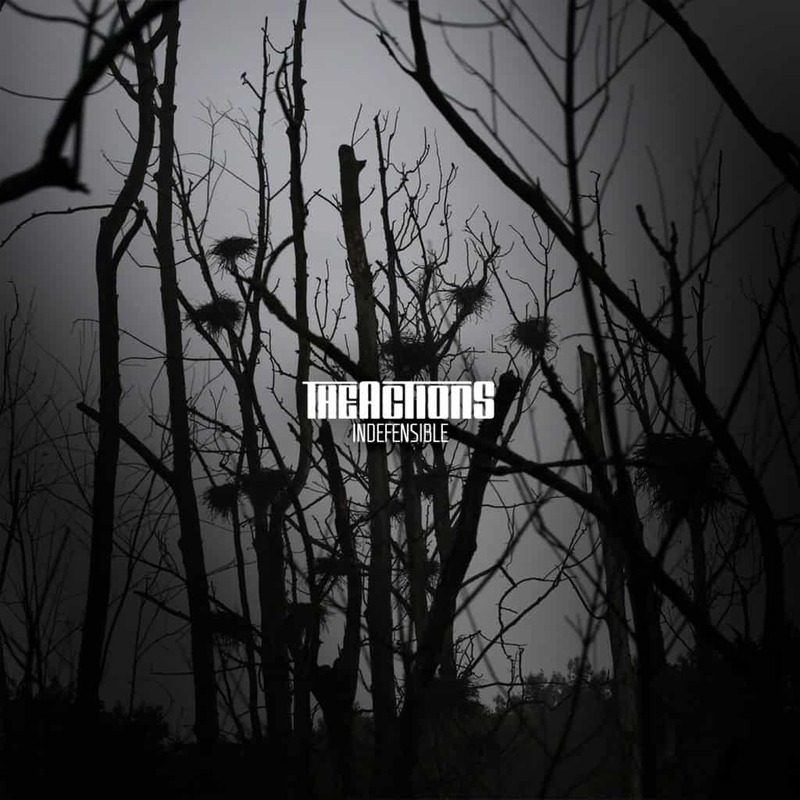 Mixing elements of rock with strange futuristic techno sounds, ‘Indefensible’ doesn’t tick the boxes for the typically mild alt-rock EPs that are usually available for our listening luxuries; but does bring something new to the table. ‘The Echo’ opens the EP, greeting our ears with a heavy yet rhythmic bass line and strong drums. This fluctuates throughout the track, constantly dropping to isolated vocals that introduce a delicate touch, then bringing back the drums and bass accompanied by steady guitar riffs that gradually build up throughout; an exciting way for The Actions to propose ‘Indefensible’. ‘Counting All Days’ follows, abiding to the same steady beat which shows the bands strong musical influence. The melody remains calm, alongside, however, techno-enhanced vocals that add a sci-fi kick to the track. As well as demonstrating the band’s strength, this also shows their lack of fear towards experimenting in their music; thankfully, the British duo have done it the weirdly right way and not the wrong and just down-right creepy way. Third track ‘Indefensible’ snaps to a change of scenery with a tribal-style drum opening; adding that raw energy that is always needed in rock-based numbers. Powerful guitar riffs are complemented by gentle vocals and keyboard effects, adding a techno and progressive vibe to the slightly heavier one that is going on in this track. ‘So Still’ shows the bands darker side by adding rumbling bass lines and scratchy guitar feedback; that, for some, can get a little intense to listen to. Whilst not being for the faint hearted, however, this number fluctuates between the eerie loud noises with soft beats and a gentle tempo; creating an ideal balance between that perfect calm and that scary insanity. Closing the album is ‘Clouding Over Pt 1’, an energetic number that has a plentiful amount of strong solid drum beats and futuristic keyboard effects; creating that perfect rocky vibe with a not too dark techno/progressive edge. The variation of heavy guitar riffs throughout the track are sure to release the inner-rocker in every listener, automatically earning brownie points for The Actions. From the title of this track, we are hoping for an anticipated release of ‘Clouding Over Pt 2’? Maybe?